I know I haven’t been in the kitchen too much these days, let alone posting/blogging! With our amazing 7 month old twins, involved and complicated recipe building is not really on my to-do list. 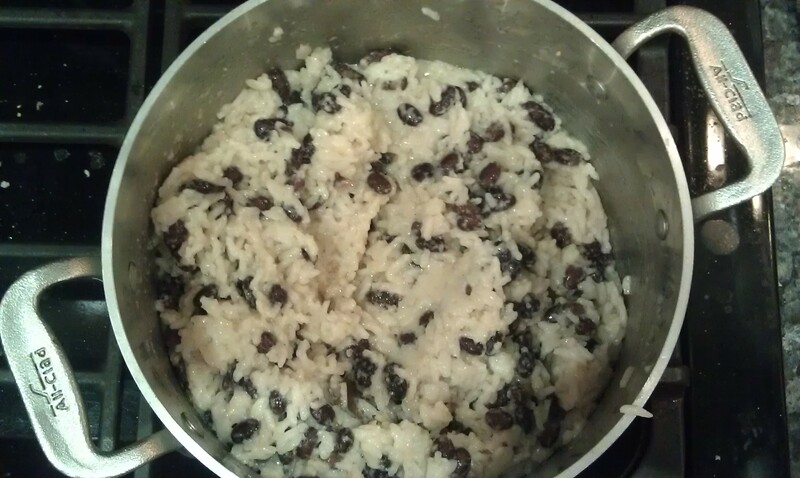 Being hunkered down for Hurricane Sandy, I figured I could go through my idle ingredient stash and start to whip up some good, quick food. It felt amazing to be back in the kitchen and inspired, even if only a simple recipe!. And now that the kiddos are starting to eat solid foods I plan to be back in the kitchen making quick but deelish family friendly food. I loved that I could get a really yummy but still nutritious (one-pot) meal on the table in less that a half hour! This recipe came out super creamy!! I used two cans of coconut milk but made sure to use one that was light to calm the fat content down a bit! I didn’t have onions but I could see sauteing some up and stirring in with the beans. I also served this with Cholula sauce, Michael didn’t use it but since it’s my current obsession, I couldn’t resist. Also, Michael doesn’t typically love anything with coconut, but he really enjoyed this and was ready for seconds! And as you know I LOVE all things coconut! 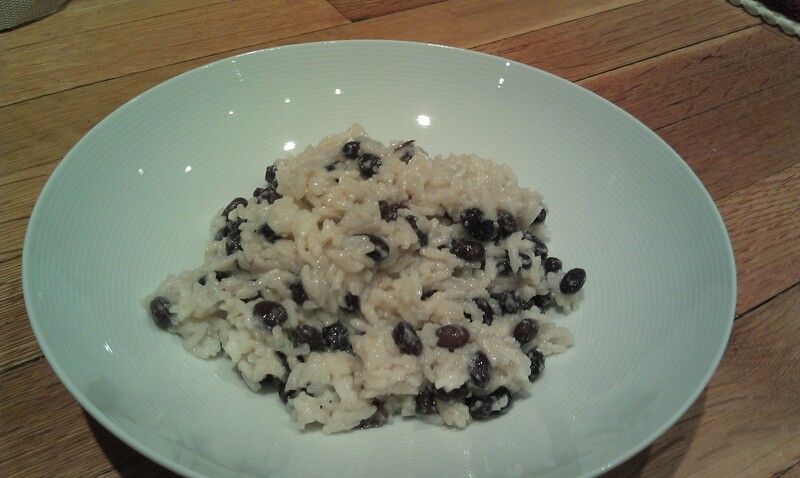 In a pot, combine coconut milk, bay leaf, garlic, (onion powder), salt and rice. Bring to a boil over medium heat, stirring occasionally. Once you see a boil, lower heat to low and cover, cooking for 10 minutes, stirring to prevent burning. Uncover and continue to cook & stir over low heat, until tender and creamy, about 10 minutes. Add the beans, stir, and cook for 2-3 more minutes. Salt to taste and enjoy!